Friday January 18th 2019 Heatwave Summary! Home/News/Friday January 18th 2019 Heatwave Summary! Another day of heat… another day of records.. Today the high end heating was far more condensed as cloud cover and a shift in trough position limited the heating across VIC, large parts of SA and the majority of WA. The records themselves weren’t in the individual temperatures, but now the streaks that have accumulated after several days. Considering these areas are naturally hot during Summer, its rather impressive and a massive eye opener as to the intensity of longevity of this heatwave when past events such as 2017, 2013, 2009, 2004, 1990, 1981, 1973 and 1960 all didn’t match some of the feats that several towns recorded this time around. • Canberra recorded 40.1ºc today, thats the 4th consecutive day above 40ºc which has never been recorded on any of Canberra’s observation stations. • Oodnadatta recorded its 5th straight 46ºc day for the first time ever, surpassing many occurrences of 4 straight days. 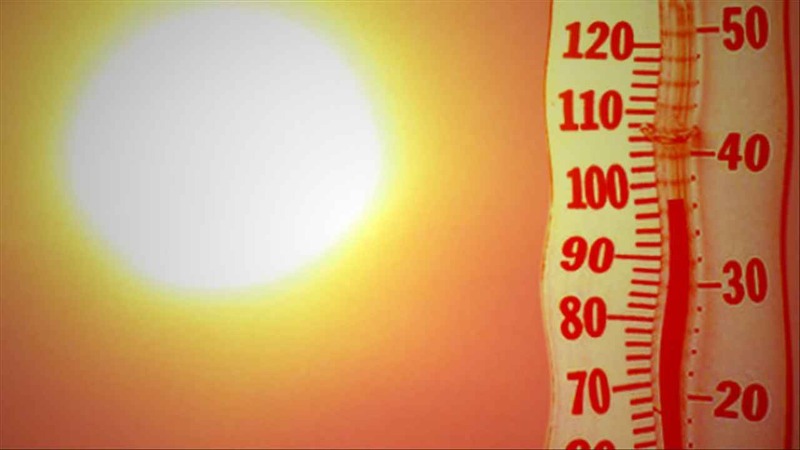 • Oodnadatta recorded its 13th 45ºc day temperature since Christmas – this has tied the record set last year for number of 45ºc days in an entire Summer for the station! • Birdsville recorded its 7th straight day above 45ºc for the first time ever, beating the previous record of 6 set in 2013. This is also the 13th day above 45ºc for Birdsville this Summer. • Fowlers Gap has now recorded 5 straight days above 45ºc which is a new record. • Cobar has now recorded 3 straight 45ºc days for potentially the first time ever. • Not listed is Camooweal and Cloncurry who have now both extended the QLD record to 34 straight days above 40ºc for an individual location. • Not listed as well is Narrandera who recorded 44.6ºc today, making this the first time ever that 5 consecutive 44ºc days have been recorded at the station. • Deniliquin recorded 43.9ºc which makes it the hottest 5 day period for the town as well when combined with the previous 4 days. • Forbes has now recorded 4 straight 44ºc days for the first time ever as well. • Condoblin has now recorded its 3 hottest January days ever, in the past 3 days – all being the record of 45.9ºc set prior to 2019. This also makes it the first time ever that the town has recorded 3 straight 46ºc days for any month.